This was one of three companies set up by Sir Charles Tilston Bright with General W.F. Smith and Cyrus Field of the International Ocean Telegraph Company and Matthew Gray of the India Rubber, Gutta Percha & Telegraph Works Company. The others were the Cuban Submarine Telegraph Company and the Panama and South Pacific Telegraph Company. The prospectus was issued in 1869 and the intention was to link the many islands to Cuba via the Cuba Submarine Telegraph Company. The India Rubber, Gutta Percha & Telegraph Works Company of Silvertown manufactured the 4000 nm of cable needed and this carried on CS Dacia and CS Suffolk and three sailing ships, Bonaventure, Melicitie and Ben Ledi with CS International and a steamer, Titian, completing the fleet. Batabano, Cuba - Cienfuegos, Cuba - Santiago de Cuba. Guadeloupe - Dominica - Martinique - St. Lucia - St. Vincent Barbados. Though laying commenced in 1870 it was 1873 before the network was in full working order. 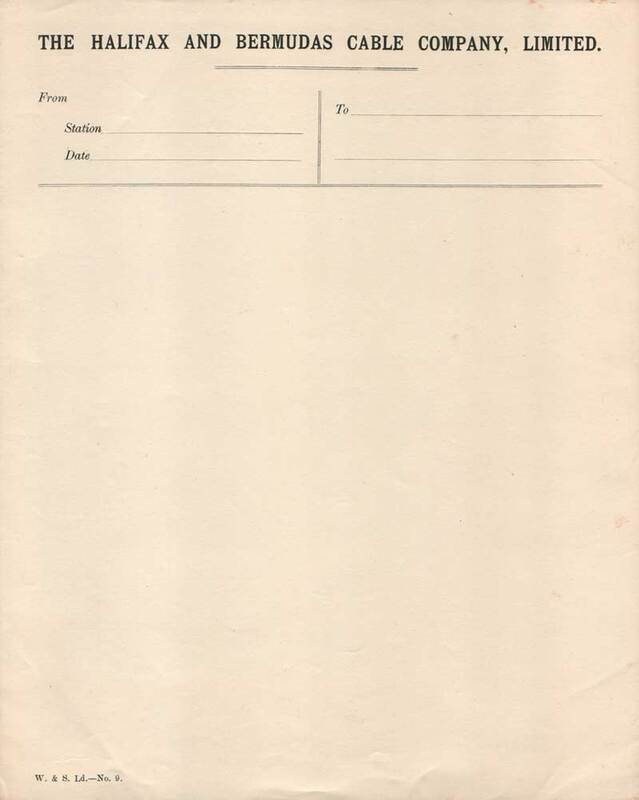 In 1877 the company went into liquidation, and a new company was set up with the same name. Money was put up by the directors of the ETC, including John Pender and the Western and Brazilian Telegraph Company who also became directors of the new company. Duplicate cables were laid in 1874: Jamaica - Ponce, Puerto Rico 667 nm laid by CS's Minia and Kangaroo. 1875 Ponce - St Croix 140 nm and St. Croix - St. Thomas 49 nm laid by CS's Hooper and Norseman (1). 1878 Santiago de Cuba - Jamaica 210 nm laid by CS Investigator. 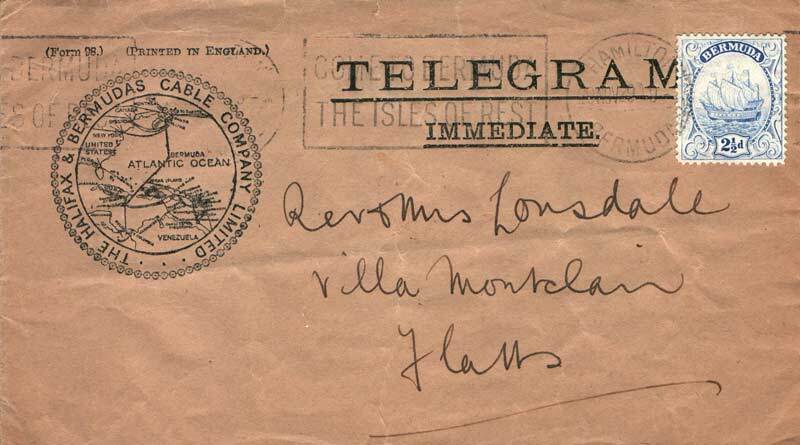 Links to Europe relied on foreign services, and at a conference in Barbados in 1890 two new companies were formed: the Halifax and Bermudas Telegraph Company, and the Direct West India Telegraph Company. 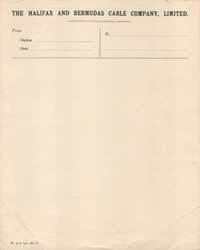 The Halifax and Bermudas Telegraph Company contracted W.T. Henley to manufacture and lay the 870 nm cable from Halifax, Nova Scotia to Bermuda using CS Westmeath in 1890. 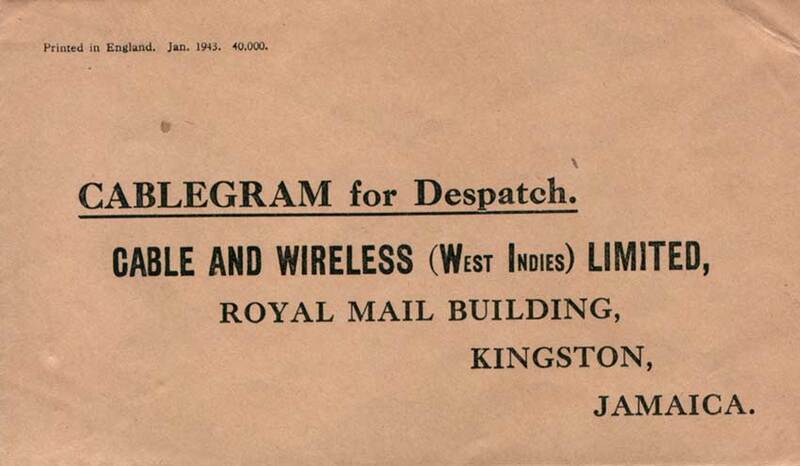 The Direct West India Telegraph Company contracted Telcon to make and lay a 1284 nm cable using CS Scotia from Jamaica - Turks Island - Bermuda in 1898. Duplicate cables laid in 1890 were:- Trinidad - British Guiana, St Vincent - Barbados. Others in 1898 by Siemens Brothers using CS Faraday (1) were St. Croix - St. Lucia - Grenada - Trinidad. On 8 May 1902 CS Grappler was working off St. Pierre, Martinique when Mount Pelée erupted, resulting in the loss of the vessel and its crew. In all, eighteen ships and the town of St. Pierre were destroyed. The company immediately chartered the steamship Newington, which had previously been used for cable repair around Cuba, and fitted it out to perform repairs on its cables. In 1903 the newly built CS Henry Holmes replaced Newington. 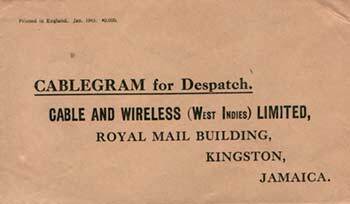 In 1938 the West India and Panama Telegraph Company changed its name to Cable and Wireless (West Indies) Ltd., a name still in use today. SKANTEL = St. Kitts and Nevis Telecommunications Ltd. The company is operated by Cable & Wireless Ltd.